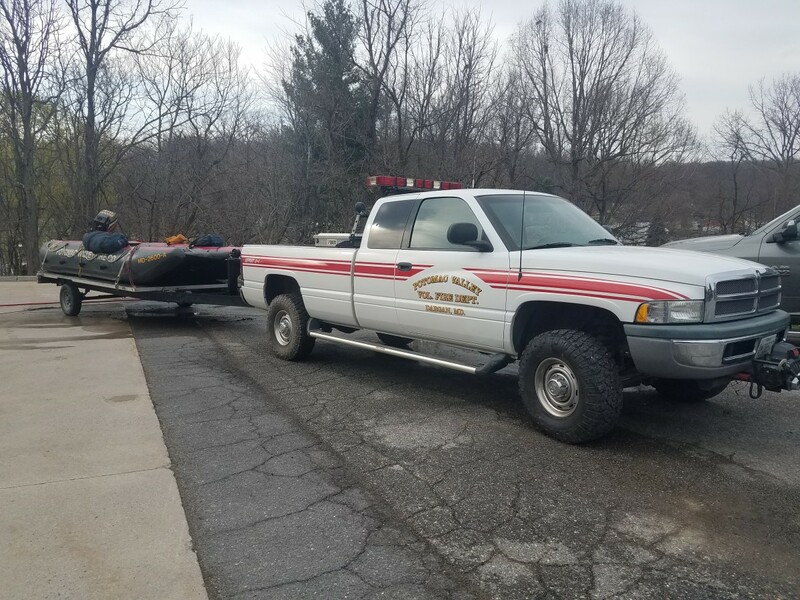 On Saturday afternoon, crews staffing Support 11-1, Boat 11, Utility 11, Boat 11-1 along with Washington County Special Operations Boat 20 and Jefferson County Boat 7, 7-1 & 7-2 patrolled the Potomac River from the “Point” in Harpers Ferry to the Rt 340 Bridge during a 200 kayaker float. An estimated 200 kayakers attended the memorial service “float trip”. During the multi hour event, crews rescued 2 seperate kayakers who had fallen out of their kayaks in the “White Horse Rapids” area of the Potomac River. Both kayakers did not suffer any injuries and did not require any additional services from Fire/Rescue.